Yesterday was a big day in our house, Hazel let go of my hand and stood on her own. Not like let go of my hand and instantly fell to the floor but let go of my hand and just stood in the middle of the room for about 2 minutes before she sat down. I was in such disbelief I started to cry, which in turn she started to cry. She has been a little monkey this week, climbing onto everything in sight, opening every door imaginable, digging through garbage cans, walking along all the furniture. It’s scary how fast they grow and learn but at the same time it is so much fun to experience all these new firsts with them. I didn’t catch the first standing episode on my camera but she did it again a few minutes later and I managed to capture it then. 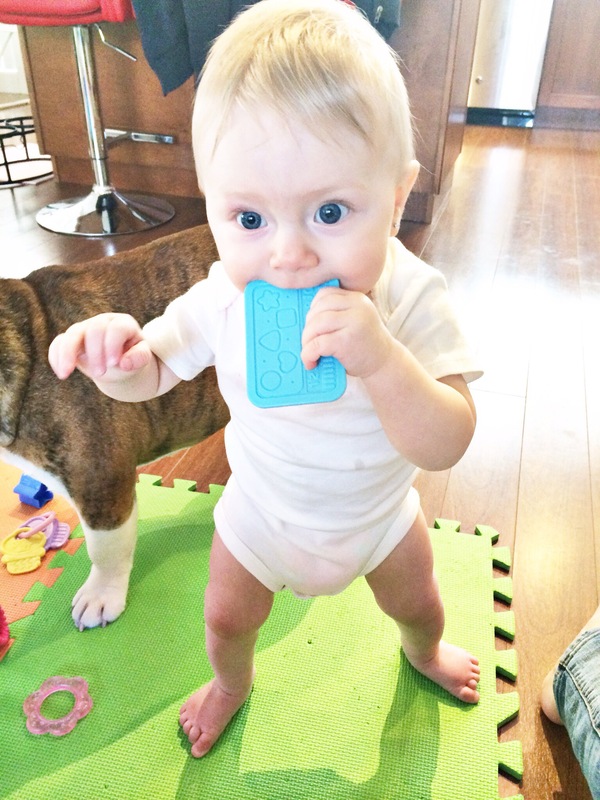 And yes that is a plastic credit card in her mouth, she is definitely my child, haha!